Ever since childhood, Renee Hykel Cuddy, Esq. has been passionate about helping others. She learned the practice of immigration law from her father, John J Hykel, who is a 35-year veteran in the field of immigration law within the Greater Philadelphia area. While attending law school, Renee Hykel Cuddy ambitiously trained and competed around the globe as an International Olympic athlete for the U.S. Olympic Rowing Team. She competed for the United States for six years and won several international medals. She brings this same tenacity to her Law Firm by doing everything she can to win your immigration or family law case. Through her athletic experiences, Ms. Hykel Cuddy developed an understanding of the benefits of diverse culture in business, as well as a passion for uniting families. Hiring Hykel Law is like having Olympic-level legal representation. Through the years, Renee Hykel Cuddy’s vision and sense of purpose has never wavered. She founded Hykel Law Firm with a mission of helping foreign immigrants to enjoy the same freedoms, aspirations and opportunities enjoyed by U.S. citizens. 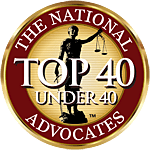 She also helps families who are in transition, whether needing professional representation through a painful divorce or child custody dispute, or through the difficulty of dividing a marital estate. Ms. Hykel Cuddy maintains resilient integrity, honesty, and aggressive defense on behalf of all of the individuals and families in Greater Philadelphia in which she has the pleasure of representing. When other lawyers throw in the towel, get in touch with Renee Hykel Cuddy, Esq., founder and managing attorney of Hykel Law. Following a six-year career on the United States Olympic Rowing Team, Renee Hykel Cuddy began practicing law after the 2008 Olympics in Beijing. Renee’s fierce drive to succeed during high pressure situations has directly resulted in favorable results for clients. Renee wins cases that other lawyers turn away. At Hykel Law, we win at agency levels (USCIS, DOS, DOL) and many levels of Court (EOIR, PA Family Court, NJ Family Court, Eastern District of Pennsylvania, PA Appellate Court, Second Circuit Court of Appeals). Some of our favorable results include: securing several work visas that were attempted by others lawyers who failed; obtaining an approval for a denied H1-B visa after suing USCIS in a U.S. District Court Action; and securing orders for primary physical child custody for parents who previously had partial custody. 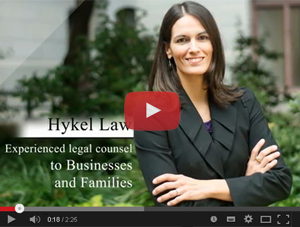 At Hykel Law, we win difficult cases because we never give up your case. Saint Joseph’s University Women’s Rowing Varsity Captain, M.V.P. Please fill in the contact form below or call us at 215-246-9400 to schedule your Appointment today.